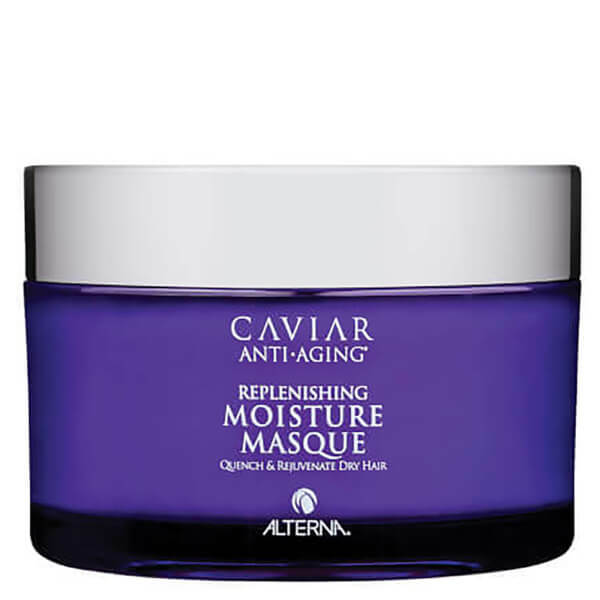 The caviar seasilk treatment masque from Alterna is a deep conditioning treatment that replenishes moisture to brittle hair. After washing hair with Caviar Anti-Aging Shampoo and Conditoner, apply evenly to clean, towel-dried hair. Leave on for 5-10 minutes, then rinse well. Water (Aqua), Cetearyl Alcohol , Cetyl Alcohol, Glycerin, Stearamidopropyl Dimethylamine, Cetyl Esters, Cyclopentasiloxane, Dimethicone, Behentrimonium Chloride, Butyrospermum Parkii (Shea) Butter, Divinyldimethicone/Dimethicone Copolymer, Phospholipids, Helianthus Annuus (Sunflower) Seed Oil, Polysilicone-15, Caviar Extract, Superoxide Dismutase, Ascorbic Acid, Trideceth-12, Cetrimonium Chloride, Laureth-9, Algae Extract, Dimethiconol, Amodimethicone, C11-15 Pareth-7, Behentrimonium Methosulfate, Saccharomyces/Magnesium Ferment, Saccharomyces/Copper Ferment, Saccharomyces/Silicon Ferment, Saccharomyces/Zinc Ferment, Saccharomyces/Iron Ferment, Butylene Glycol, C12-13 Pareth-23, C12-13 Pareth-3, Panthenol, Caprylic/Capric Triglyceride, Polyquaternium-10, Tocopheryl Acetate, Retinyl Palmitate, Sorbic Acid, Sodium Polyacrylate Starch, Ceteareth-20, Polysorbate 60, Citric Acid, Disodium EDTA, Phenoxyethanol, Methylisothiazolinone, Fragrance (Parfum).